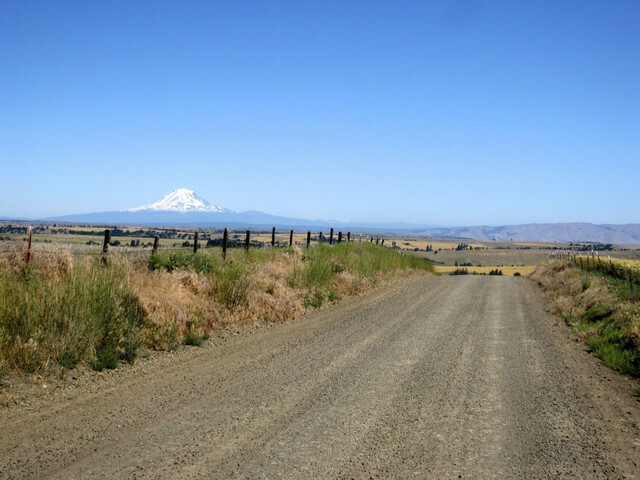 This is Oregon's iconic gravel route and was our first "gravel grinder" of any kind (yea, we hate that term too...). Put together back in 2009, this route has stood the test of time and is now a yearly tradition amongst many Oregon gravel aficionados. This the classic route that put VeloDirt on the map and can in its own way be credited for what you’re reading right now. Whether you're into riding this as a long day or bikepacking it over a weekend it's guaranteed to punish and reward you in equal measure. ## Route: * The route begins and ends in the @poi[Deschutes River State Recreation Area](524994). 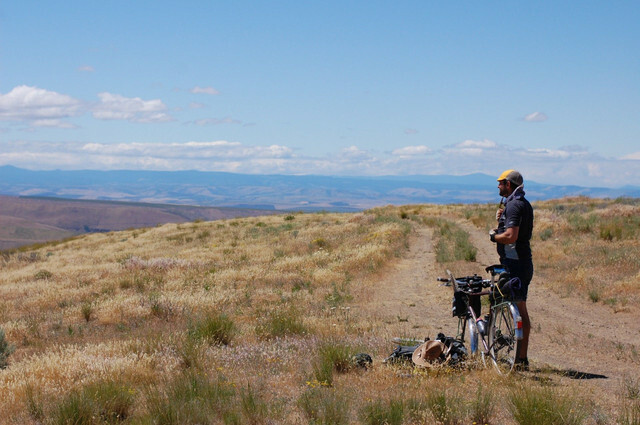 After suffering up @slice[Old Moody Road](54,261) and gaining the ridge high above the river, you’ll get to enjoy mountain views from Rainier all the way down to the Sisters along some of the least traveled and most beautiful gravel roads anywhere in Oregon. * The route consists of good gravel and paved roads except for the @slice[White River Wildlife Area](1884,271). This section is extremely rough. Expect to walk sections of it unless you have expert bike handling skills. Overall the route is about 60% dirt. * If you're doing this as a day route, we think a standard gravel rig is appropriate for this route – a cross bike or touring bike with 32-37c tires will probably be just fine for most folks. We'd recommend going a little beefier if you're dragging along camping gear. * This is one route where we think riding it in either direction is exceptional, so don't be fooled by the way it's mapped. Clockwise, counterclockwise, it's all good. ## Highlights: * Dufur, especially @poi[Kramer's Market](524982) and peeking through the window across the street at the piles of elk antlers * @point[The historic town of Friend](1805,0.995) * @slice[Rough riding through the White River Wildlife Area](1884,271) * @point[White River Fall and Sherar Falls](2726,0.05) * Tumbleweeds. Gobs of them. You can get the full route details and lots more additional information at [OregonBikepacking.com](http://www.oregonbikepacking.com/portfolio-posts/oregon-stampede/).